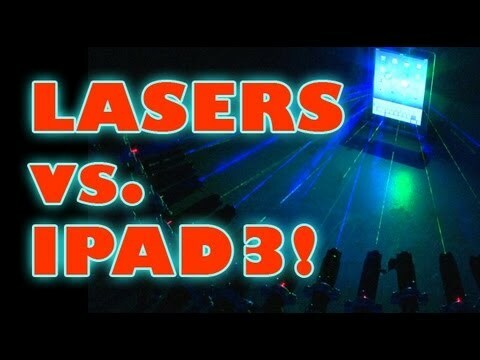 Watch as a wall of burning lasers takes on the iPad3. Then the wicked lasers Flash Torch followed by the Solar Death Ray finish it off! Boom…sizzle!